Visual Music Concepts is the name of the very effective music teaching methodology that Maria LaMon, founder of The Music Academy for Special Learners, has developed for children with autism, learning challenges, and early beginners. Click here to watch a You Tube video about the program, and hear parents and students share their experiences. Maria was motivated to create Visual Music Concepts after receiving a master’s degree in special education at Touro College, and interning at The Developmental Disabilities Institute in Huntington, LI. 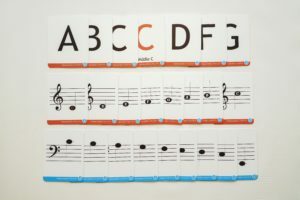 While working with children and adults with autism, it became clear to her that most have a very special relationship with music that is an open doorway for learning. Her Applied Behavior Analysis (ABA)-based program was designed to engage special learners interactively with visual tools, whole body activities, and sounds. 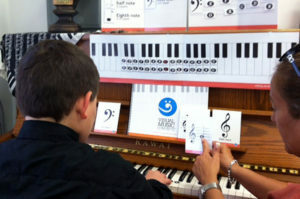 Through game play, students develop instrument skills and learn Music Theory. Lessons are lots of fun, and special learners advance easily and naturally, without experiencing common frustrations. 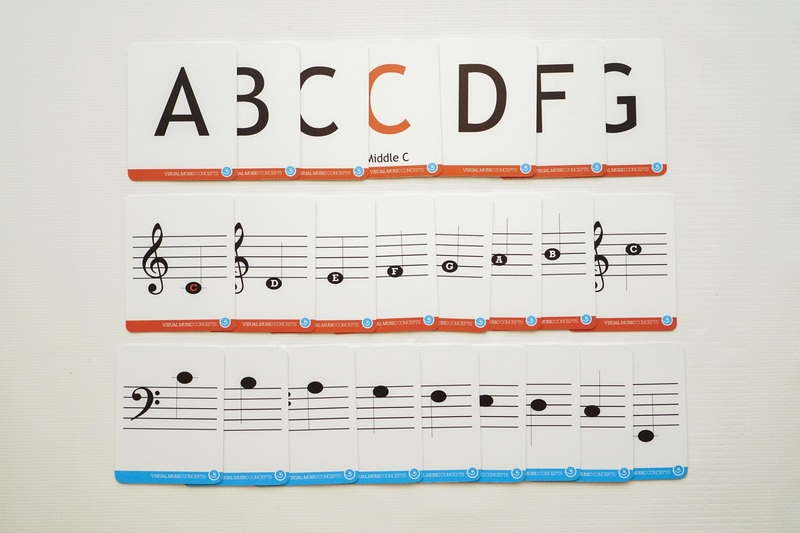 Visual Music Concepts insures that teachers and students both have fun and experience SUCCESS from the start—in fact, children learn to play songs at their first lesson! 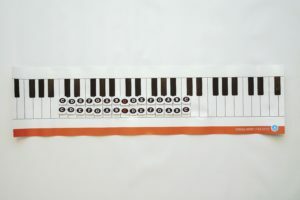 The Treasure Hunt game encourages children to use the flashlight to find the correct notes on the keyboard. 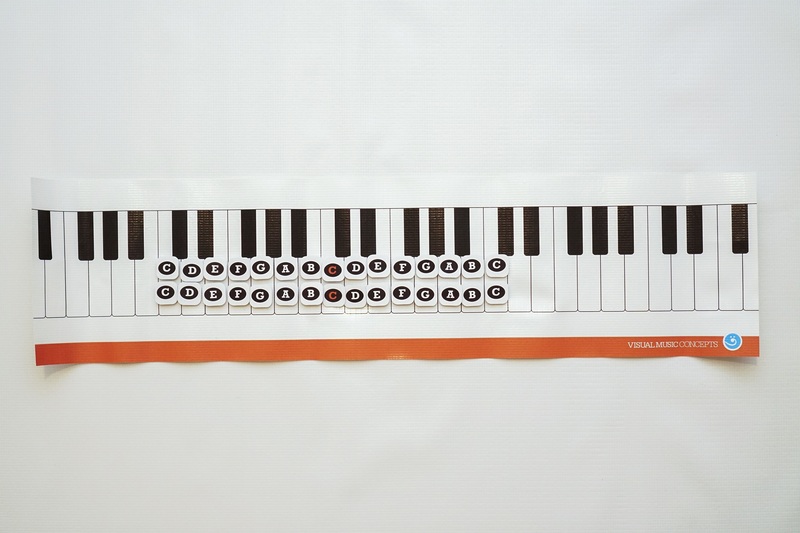 The Keyboard Match game is used for reinforcement of note recognition and note progression. 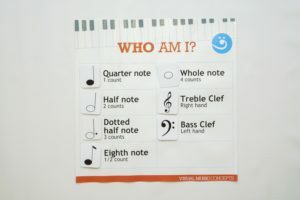 Name that Note introduces the note staff, note placement on the staff, and treble and bass clefs. It also reinforces note progression and recognition. The Who Am I? 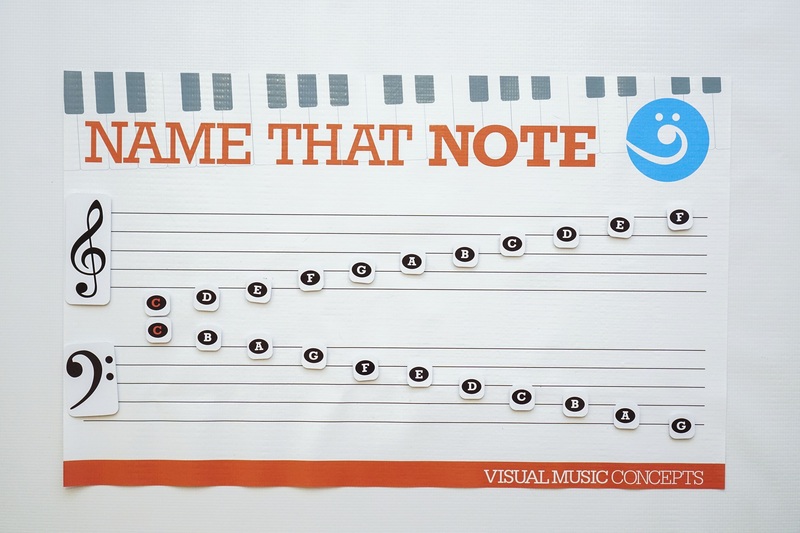 game helps reinforce the types of notes, note values and clef signs. 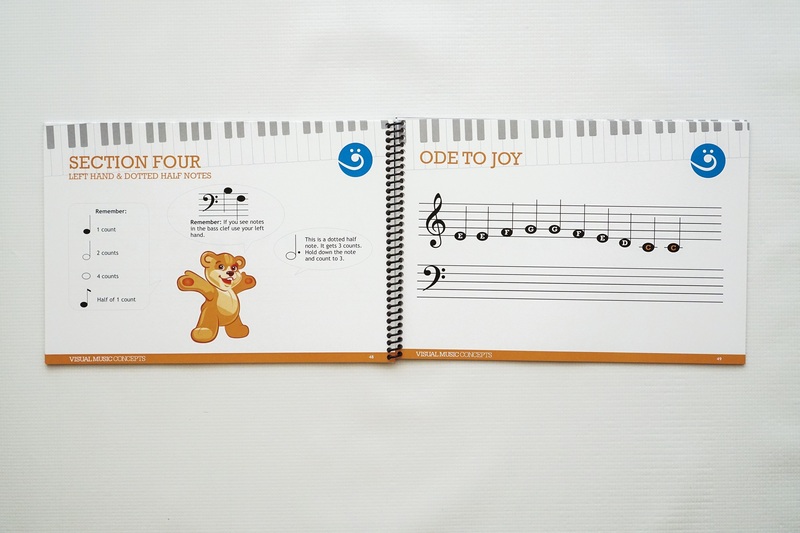 Jump to the Note encourages note recognition and progression while expending physical energy. 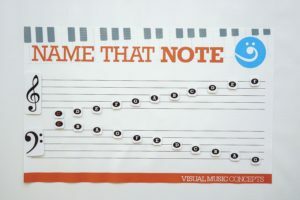 Visual Music Concepts motivates students by providing novel, pleasant activities that teach them something they want to learn, while advancing their coping skills and improving their self-esteem. 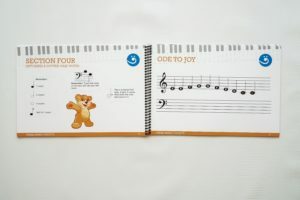 We’re so certain your child will love Visual Music Concepts that we are offering a FREE LESSON. Contact us now to schedule a class for your child! Click here to read about Our Music Program.